If there’s one thing that we can all agree on, no matter our hair type, it’s that hair breakage is a real bummer. It looks bad, it feels bad, and it leads to other even more annoying problems, like frizz and stunted hair growth. In short, when a curly girl has a nightmare in her sleep, it’s probably about hair breakage. Hair breakage happens when the shaft of a hair strand breaks, resulting in a shorter strand and, often, a split end. Once a strand of hair breaks, you’re never gonna put it back together, so the key move here is really about prevention. On the plus side, if you can prevent hair breakage, many of your other hair woes will be solved, too. Here are a few ways to stop this frustrating phenomenon. Hair breakage is often a side effect of dryness. 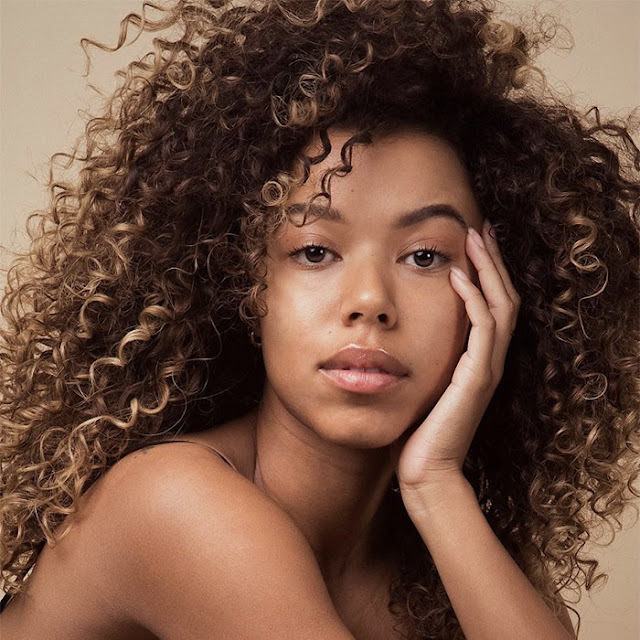 If you have curly hair, you probably need tons of moisture in your hair anyway, so you know what to do – step it up on the deep conditioner, and leave-in conditioner, and don’t forget to seal with oil to prevent your hair from losing moisture throughout the day. Read more about the steps you can take to prevent dryness on wash day here. To retain moisture for the next few days, use a satin or silk pillowcase or wrap your hair at night. Otherwise, you’ll lose a ton of that moisture to your pillow. In some cases, hair breaks because the shaft of the hair has simply become too weak. This is often the result of chemical processing (like hair dye) or high porosity hair. The hair cuticle itself is made of protein, so you can strengthen your hair strands by doing a protein treatment. Look for a store-bought protein treatment with hydrolyzed protein in it, like the Aphogee Keratin 2 Minute Reconstructor. You can also opt for a protein-rich deep conditioner, like the Mielle Organics Babassu & Mint Deep Conditioner. Never brush your hair with a regular brush while it’s wet. (Or dry, for that matter!) Only use a brush that’s specially designed for waves and curls, like a Denman brush or a Wet brush. Wet hair is easier to detangle, but it’s also more fragile and prone to breakage. Make sure that your curls are coated in a product with plenty of slip, like the Design Essentials Almond & Avocado Moisturizing & Detangling Conditioner, before you even touch a comb or brush. When you inevitably run into tangles, be patient. Sit down, put some Netflix on, and get ready to really take your time with each knot so that you aren’t forced to yank it out of your hair. Ripping knots = instant breakage. Unlike hair breakage, heat styling is a more controversial issue among naturals. Some steer away from it entirely, while others go wild with the blow-dryer weekly. If you do use heat on your hair on a regular basis, use some type of heat protectant to protect your hair from damage. Air-dry your hair for a bit before you blow-dry. Try not to use heat on your hair more than once a week, at most. Yes, your ponytail looks flawless, but what about your hair strands?! Updos pull on your strands, and all that tension can lead to breakage (as well as hair loss). If you wear your hair up often, make sure to give it a break and let it hang loose sometimes. You can also practice looser up-dos using only gentle hair ties. It’s important to get regular trims to remove dead and split ends. Otherwise, those split ends will travel up each hair strand, resulting in even more hair breakage. If you’re cringing at the thought of paying for frequent haircuts, remember that you can dust your own ends easily at home. Stress can lead to hair breakage, believe it or not. So can the lack of certain vitamins and minerals, like zinc, iron, and folic acid. Make sure you’re eating a balanced diet, and try to find a way to manage your stress. Easier said than done, I know. Are you doing everything right, but still experiencing hair breakage, frizz, and dryness? It might be your water. Hard water contains minerals and heavy metals that can wreak havoc on your hair and cause cuticle damage. A showerhead filter takes all of that out, so your hair only soaks up water that’s as pure as the water you drink. If you’re experiencing hair breakage, what remedies have you tried so far? How have they worked?